It is SO cold in the northeast! A banner winter. Today, the streets are sparsely populated because who in their right mind would venture out without very good reason? Even the birds are laying low. Somewhere safe and cozy I hope. As the wind blows the snow into a mad frenzy, my housebound self is working to keep calm with visions of spring. 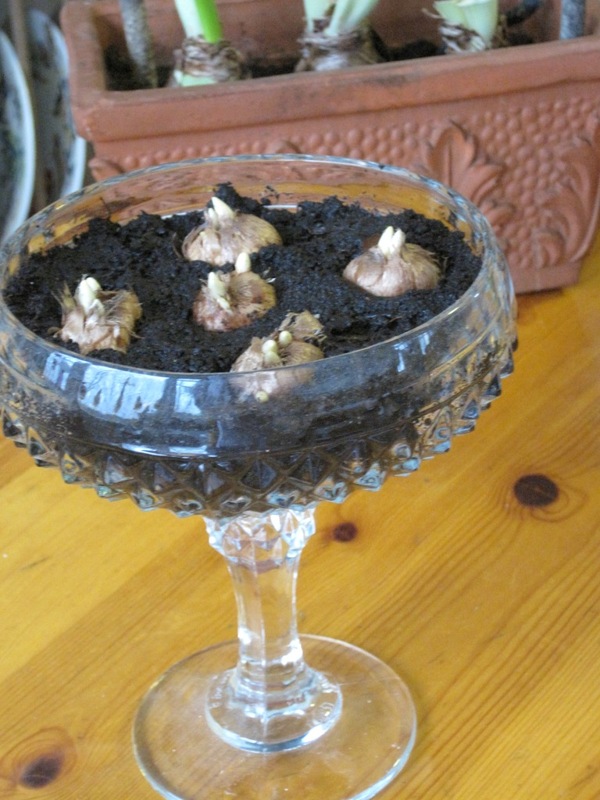 The hyacinth bulbs cooling in the refrigerator since early November, have been brought out. Sitting pretty in their jewel-hued glass forcing vases, they’re a sight to please anybody. Each day I glimpse a teensy bit more of the sap green, arrow-like tips emerging. Does my heart a world of good. 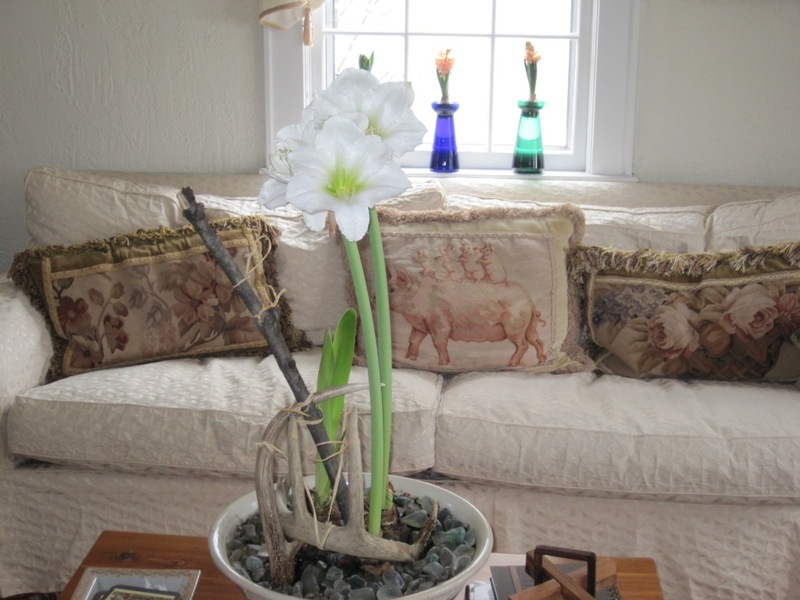 Meanwhile, the assorted amaryllis are still going strong. They are so well worth the investment I made last fall. 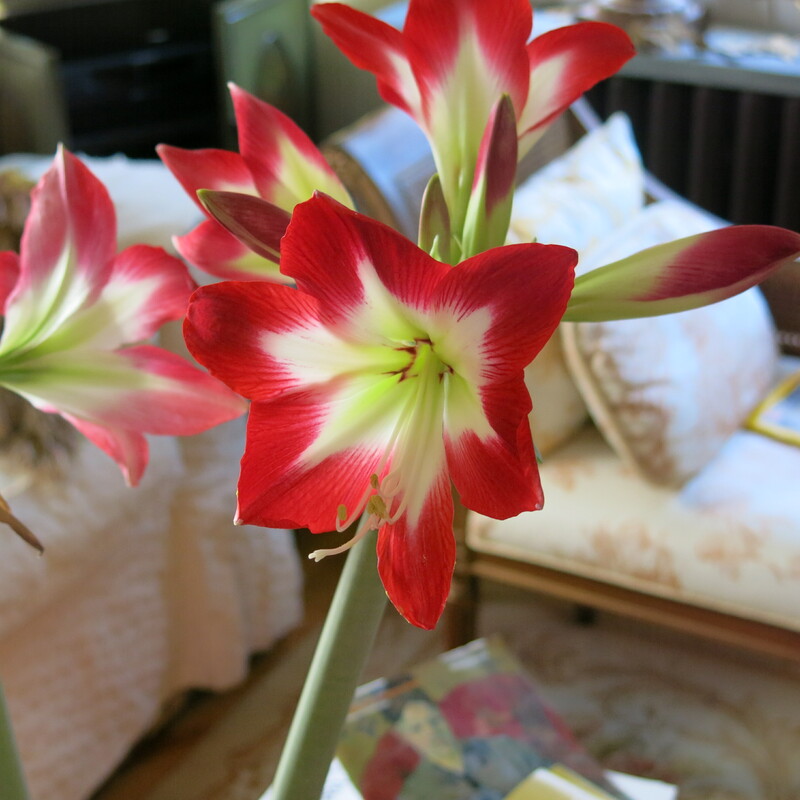 Since late December, I’ve been enjoying their blooms and they are not even close to being done yet. Apart from keeping me in good spirits, their exuberance often serves as muse to my art. It isn’t only the flowers that bring so much joy. The very anticipation of them as I observe daily the emerging buds and leaves is absolutely life affirming. So full of promise and beauty. I sincerely hope you too are celebrating your days with such living treasures. Feeling buoyed by the springlike atmosphere indoors, my thoughts naturally drift to the possibilities outside. 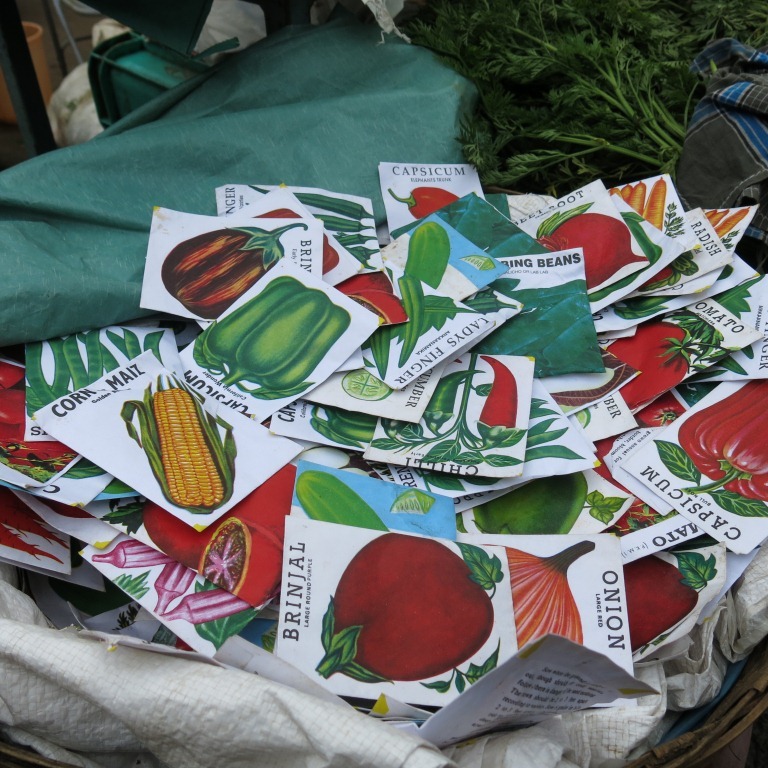 Nothing big is planned as other non-horticultural happenings take priority this year. The modestly sized garden is already intensively planted but as we all know, there is always room for a few more. So, I’ve ordered a blueberry bush that seems perfect for my plot. It is the variety BrazelBerries Blueberry Glaze. Only 2-3 feet tall with glossy, dark green leaves and pink flowers in the spring, it already appeals to me. The bush can be clipped like boxwood so one foresees uses for it in more formal locations. The berries are supposed to have an intense flavor – I can almost taste them over Sunday pancakes and yogurt parfaits in the summer. I’m looking forward to getting to know this future resident in my garden. I’m now contemplating ordering a pink lilac that reblooms. This too is compact in size. Only 4-5 feet tall. Its pink, heavily scented flowers bloom in May and then intermittently till fall. I’m pretty sure I can squeeze this gem in somewhere bordering the meadow. Pink Perfume belongs to the Boomerang family of reblooming lilacs. Creeping phlox (P. subulata) to replace the aging, straggly ones in the checkerboard garden have already been ordered from my local nursery. As are the replacement ferns and heuchera for the vertical garden. 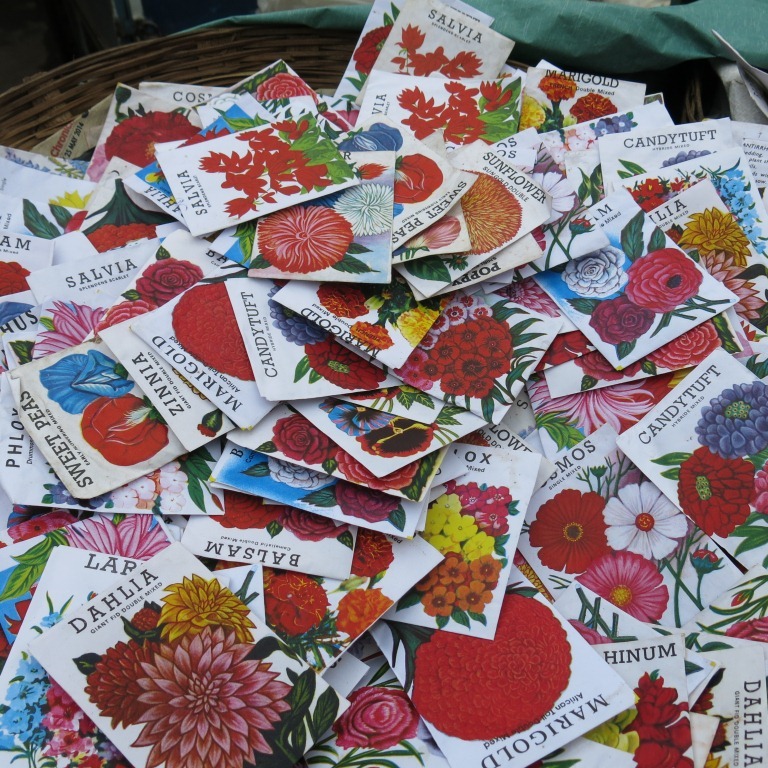 Vegetable and flower seed packets are looking attractive in their tray on the dining table as they await my attention in mid-March. They remind me that no matter what, life goes on and spring is on its way. What are your dreams for the garden? I’d love to hear about them. Please share any suggestions, ideas or thoughts! This entry was posted in Move It, Seasons Greetings by shobha. Bookmark the permalink.